We all walk through life doing our mundane daily routines and neglect to acknowledge our surroundings. Once a monkey wrench gets thrown into the works, our mojo is off-kilter. I have to admit, I’m one of those people who have a set routine and if it gets altered in any way, shape or form, it’s all downhill from there. I go about my normal day of driving the congested 101 and fighting traffic to get to my parking structure in downtown Los Angeles. I park, I take the elevator and I go through a rat maze of a building to make my way across the bridge to get to next connecting building to get to work. However, on this particular morning, there was a different type of construction going on. There were display stands strategically placed in the walkway that had large photographs of various prominent people (all over the age of 65) such as Madeline Albright, Bishop Desmond Tutu, Clint Eastwood, Nelson Mandela and Robert Redford just to name a few. Somehow this display, even though it was annoyingly placed in the walkway where maneuvering was a serious issue to get to the escalator, spoke to me. Not only the photographs, but also the various quotes enlarged on the walls and on the steps as I descended down them. It took a moment for me to register what was going on and why this display was there. 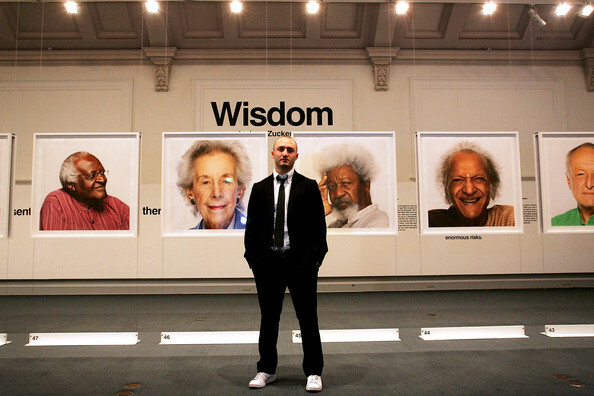 This time, I took an hour during lunch and decided to explore this exhibit aptly entitled WISDOM by Andrew Zuckerman. The concept is actually brilliant as the exhibit combines world leaders with influential people who have made an impact in society. Each one shares their own personal view of life lessons through personal reflections and/or quotes. 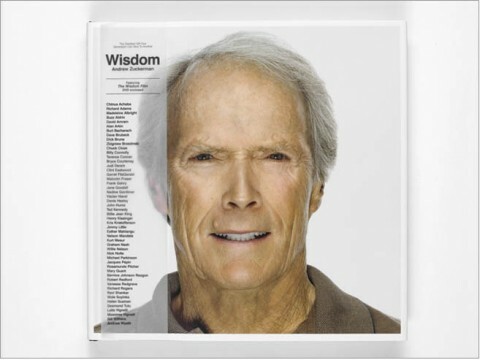 There’s even a book that is a condensed version of the enlarged quotes and photographs called Wisdom: The Greatest Gift One Generation Can Give To Another out on display that can be bought for $50. Right now, Amazon has it as a deal for $31.50. 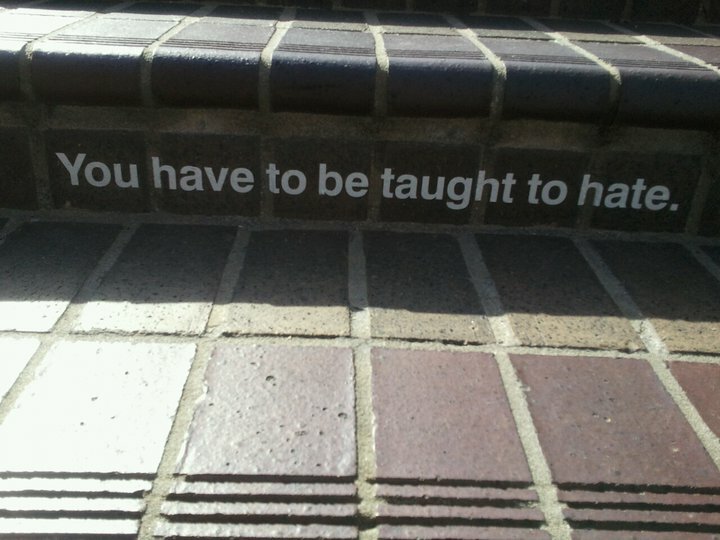 This particular quote was found on the steps of the Bank of America building in Los Angeles, CA. If you are in the Los Angeles Area or your nearest metropolitan area and you just so happen to stumble upon this exhibit, take a few moments of your time to be aware and read an excerpt or two or better yet click on the link and view the film trailer at (WisdomBook.org). You will definitely be enlightened. Next And They Call It Kitty Love…. I’ll have to check out the book; I don’t think that the exhibit with be making it to the hinterlands that I frequent.